After reading its name, you might expect the Volcom Frochickie Insulated Snowboard Pant to be the wildest pair on the mountain. Much the opposite, this pant is actually completely casual and low profile. 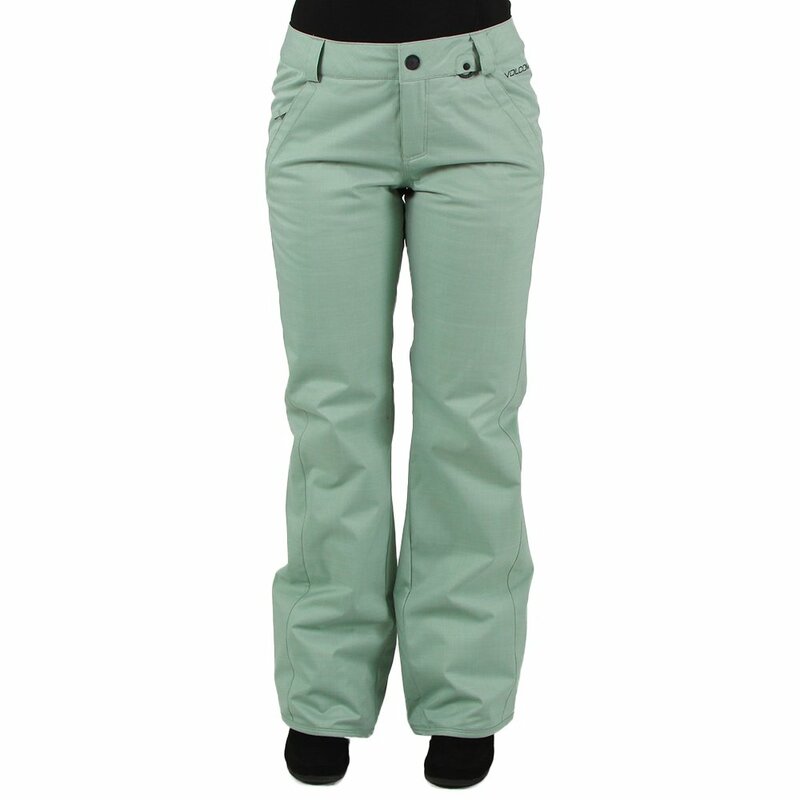 Its waterproof-breathable fabric is cut and sewn into a classic design with chino fit. 60g low-loft insulation adds warmth, and boot gaiters keep the snow out. A rear pocket, brushed tricot hand warmer pockets and a ticket ring keep your important belongings safely stored. "Are these pants white? Would an XS be size 2-4? Are these returnable for a refund if they don't fit? " "We do not have a white option available for these pants. An XS is equivalent to 00-1. You can view more information on our size chart. You can view our return policy here."